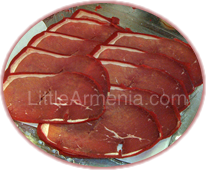 For over a decade, LittleArmenia.com has helped promote the Armenian community of Hollywood, California. Over the years, we have been fortunate to develop relationships with many businesses within the community. Working directly with local merchants in Hollywood’s Little Armenia district, we bring you the best our community has to offer in the Little Armenia Shop. 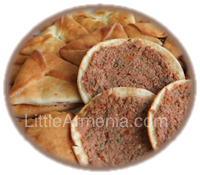 In addition to products from local merchants in Hollywood, we are also proud to offer products imported from Armenia. It’s our small way of supporting mother Armenia and, at the same time, introducing diasporan Armenians and non-Armenians to Armenian goods (such as preserves, pickled vegetables, and juices) — which are some of the best tasting and of the highest quality in the world thanks to Armenia’s ecologically rich soil. Please take your time to look around — we hope you like what you see. If there’s something you would like but don’t see in our shop, please do not hesitate to contact us.